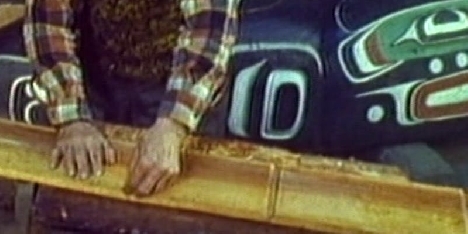 This program will present footage shot in Victoria and Vancouver, British Columbia in the fall of 1961, featuring the members of the Kwakwakawakw (Kwakiutl) community, including leading carvers Mungo Martin, Henry Hunt, Douglas Cranmer, as well as famous Haida artist Bill Reid. They will be seen making totem poles, masks, and a bent-wood box, in addition to scenes of feasting and dancing. With generous support from the Hearst Foundations, over the coming year the museum will be digitizing films shot throughout Western North America, including the Plains, Southwest, Great Basin, California, and Northwest Coast. Since 1991, Ira Jacknis (PhD, University of Chicago, 1989) has served as research anthropologist at the Phoebe Hearst Museum. His principal research interests include Native American art and culture, museums, non-verbal modes of anthropological representation (still photos, film, sound recording), and the history of anthropology.